I have sold a property at 9 7549 HUMPHRIES CRT in Burnaby. A fabulous opportunity to own in Burnaby! This updated 913 sq ft 2 bedroom corner unit is close to schools, buses, Skytrain, Edmonds Park and pool, shopping, library and minutes from Metrotown. High quality laminate throughout, huge master bedroom and large closets. Updates in 2014 include floors in bathroom and laundry room, vent fans in b/r and kitchen, hot water tank, polished porcelain back splash and solid surface counters in kitchen. Beautiful large patio and small garden with sunny south west exposure are perfect for BBQs. Complex is an amazingly quiet oasis close to everything and suite is move in ready, with 2 pets allowed. A rare gem not listed since 1989. 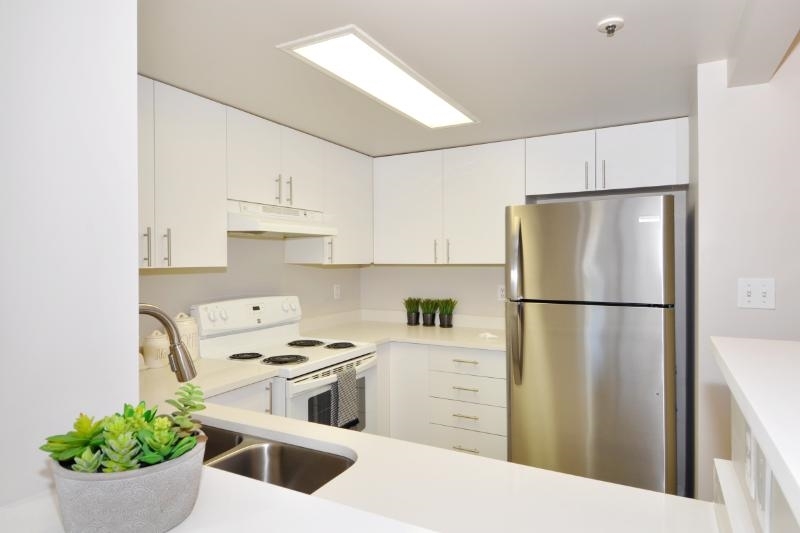 This complex is so well maintained, strata fees have been reduced.